PES University previously known as PES Institute of Technology was entranced in the year 1972 in Bengaluru, Karnataka. The university offers various degree programs in the field of engineering and technology. The university conducted its own entrance exam in the name PESSAT abbreviated as PES Statistical Aptitude Test. 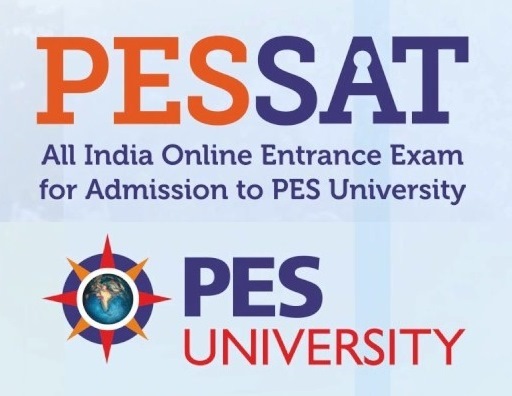 PESSAT is an online entrance test conducted by the PES University every year in the month of May to check the eligibility for the candidates willing to seek admission in engineering. Admission will be based on the score obtained din the entrance examination followed by the personal interview. PESSAT 2019 details including schedules, eligibility, form filling, result, counseling and many other topics are been covered in the below article to guide the candidates regarding the same. Age: Candidates of any age can appear for the PESSAT 2019 entrance test. There is no age restriction to appear for the entrance exam. Qualification: Candidates appearing for PESSAT 2019 should have completed 12th or intermediate from a recognized board. Required Score: Candidates willing to appear for PESSSAT 2019 will have to attain a minimum of 60% aggregate score in 12th with mandatory subjects like Physics, Chemistry and Mathematics. PES University releases the application form for PESSAT 2019 in the month of October from its official website. Candidates willing to seek admission at PES University will have to appear for PESSAT 2019 for the academic year 2019-2020. In case of other state candidates the dates will vary. Visit PES University official website and navigate to PESSAT Application form. Click on apply link and fill the application form with accurate details. Click on Proceed followed by ‘Edit/Confirm’ button. Upload the scanned copy of recent passport size photograph and click on submit button. Make the payment through online via net banking/credit card/debit card. Take the printout of the duly filled application form for further reference. PESSAT 2019 exam pattern is been set by the admission authorities of PES University. The details regarding the subjects, mode of exam, duration of the exam and many such details are mentioned in the below table for the students reference. Mode of Exam: PESSAT 2019 entrance examination will be conducted only through online mode. Medium of Exam: Entrance exam for PES University, i.e., PESSAT 2019 will be conducted in English medium. Duration of the Exam: PESSAT 2019 will be conducted for 3 hours, i.e., 180 minutes in total. Exam Format: PESSAT 2019 will consist of objective type question. The question will be providing with 4 option and the students should choose the correct answer. Subjects: PESSAT 2019 question paper consists of 4 subjects, i.e., Physics, Chemistry, Mathematics and English. Marking Scheme: +1 mark will be allotted for every correct answer in PESSAT 2019. There will be no negative marking for the wrong answers or unanswered question. Total Marks: PESSAT 2019 question paper will be set for 180 marks. Number of question asked will be 180 divided into 4 sections. PES University has modified the syllabus for PESSAT 2019 according to the topics covered in class 11th and 12th under CBSE syllabus. The exam paper consists of 4 subjects like Physics, Chemistry, Mathematics and English. Candidates can download the admit card for PESSAT 2019 form its official website through online mode. Candidates should mandatorily carry their admit card along with an Id proof to the exam center, in case if the candidate fails to carry he/she will not be allowed to appear for the entrance exam. Visit the PESSAT 2019 official website and navigate to “Admit Card” link. Login using application number and security pin provided. Select the sign in button and the take out the print out of the score card. Online mode of PESSAT 2019 result will be declared in the month of May 2019 through its official website. The result will be declared by the admission authorities of PES University. Score card contains details like name of the candidate, roll number, category, gender, marks and rank obtained in the entrance exam. Visit PES University official website and navigate “Download Rank Card”. Provide with the roll number and date of birth. Click on submit and take the printout of the score card. Prepare a study time table and follow accordingly. Schedule the time for revision while nearing the exam date. Take proper care of your health. Admission at PES University will be based on the score selling of the score obtained in PESSAT 2019. Counseling process will be held in 2 rounds. Incase candidate is unable to attend the counseling session; candidate can opt for proxy counseling. The authorized person has to bring the letter along on counseling day and get it approved from the concerned person at the university. PES University has established it exam center in various city of Indian states. The entrance examination will be conducted through online mode. Candidates can select exam centers of their choice at the time of form filling.